The celebrations in St George's Square last night. 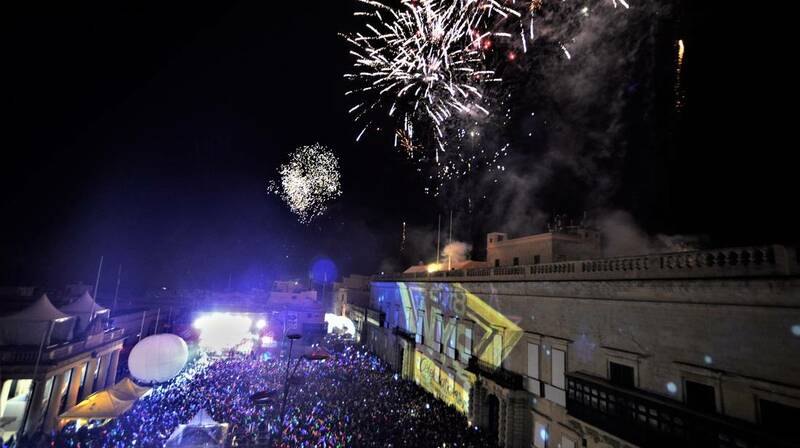 Around 85,000 people flocked to the Capital city to usher in the New Year during the national celebrations held in Pjazza San Ġorġ last night. Last night’s event, organised by the Valletta 2018 Foundation, included the likes of Ember Trio, Ozzy Lino, Gianluca Bezzina, Brass House Unit, amongst others. The activity was organised by Valletta 2018 in collaboration with the Ministry for Justice, Culture and Local Government, Ministry for Tourism, Malta Tourism Authority and Valletta Local Council, together with G7 Events.